"A phenomenal bunch of men" the 2018 Limerick All-Ireland winners were lauded by Performance Psychologist Caroline Currid. 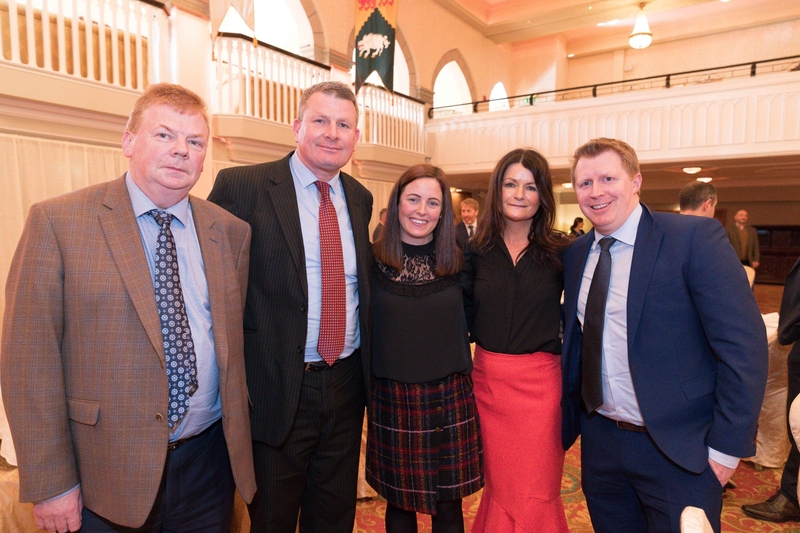 Earlier this week it was confirmed by the Limerick Leader, that Currid wasn't part of John Kiely's set-up for 2019 and this Friday she was keynote speaker at a Shannon Chamber event in Dromoland Castle. "There is no rocket science, no magic in terms of high performance - do the simple things at a very effective manner," she told the gathering of business leaders from the Mid-West. "Value your people - if people feel valued, they will give it back in bucket loads," stressed Currid. The highly sought after Performance Psychologist spoke in glowing terms of the Limerick management and players. "These are a phenomenal bunch of men but there are some key pieces to the jigsaw that were just incredible and was so well managed. When people say to me about Limerick I think one of the identities that they associate with the success of these men was that they were doing it for each other and worked so hard for each other as opposed to any individual on that team," she outlined. "John Kiely is phenomenal leader when it comes to people and managing people; not athletes but managing people." She explained: "From Day One he decided every week he was going to make sure that he had a list of people and he was going to touch base with every player from 1-36 on his panel and when I say touch base, I mean just asking them ‘how are you’ or ‘how was your day’. We carried a panel of 1-36 so there were 10 men in every game when we togged that didn’t even get to put on a pair of boots after all the work they had done. That’s really demoralising if you don’t value that person in that set-up. He had a great way of doing it because he made sure he took the time to talk to them every single week and he took the time to do that and ask them ‘how are you’". "That was incredible from a value point of view - he made sure they were on the bus every time we were going somewhere, all 36 men were on the bus and he never deviated from that and it was a powerful way to show the guys this is the family or unit." She added: "Another fantastic thing John did was he made sure all 36 men had their jersey on them on All-Ireland final day and they went out and got their photograph taken". Currid spoke of identifying a "purpose". "Why we do what we do? And also holding ourselves accountable and they got so good at having the real honest conversations and it took time to embed it but they got so good at holding themselves accountable that it wasn’t about John (Kiely) or Paul (Kinnerk) or any of the coaches having to baby-sit the team it was about the leaders within the team, holding them accountable to no stone was left unturned," she outlined to the Shannon Chamber event. "We also spent a lot of time on the vulnerabilities - helping these young men to talk about what was really going on for them and helping them to understand what challenges they had together as a group. By the end of the season what was happening was these lads were picking up the phone to each other to support each other, instead of maybe friends outside of Limerick or even to me. They were using each other because they became so tight as a unit and that’s what you see when you go out onto a pitch the size of Croke Park or the Gaelic Grounds, you need them men all aligned and fighting for each other and that’s what you see." What of the weight of history - a 45-year wait for Liam MacCarthy Cup glory for Limerick? "I think it made a difference to Limerick people but it didn’t make any difference to the young men inside that camp because I lot of the focus from a psychological point of view was on our KPIs from a week to week basis. When I talk about measurements and process we really chunked it down and we spoke about what was important to a week and what did we want to get out of this week’s training and this weeks’ game and having the focus on our measurements and that really takes away the history," she said of the Limerick Key Performance Indicator (KPI). "On the lead up to the All-Ireland where that was massive news around the camp but never once was it mentioned in the camp about history," stressed Currid. "We would have conversations and draw on a piece of paper ‘what is the stuff being talked about outside’ and what’s the stuff we don’t want to listen to or maybe we can hear it but don’t want to process it and we understand that’s what people are saying outside but we had our own bubble where we focused week to week on what we were going after," she explained. "Then when it came to the bigger games because our process stayed the same the whole way, it becomes consistent and if you listen to the lads in their interviews they were consistent because the year was consistent. The conversations didn’t start last May, they started the previous December in relation that what we were doing and our process and how we would stick to our process - Paul Kinnerk is a phenomenal man for putting strong processes in place and sticking to it and he stuck to the process and therefore the lads stuck to the process and it was continued through the season." All that work came to the fore on All-Ireland final in Croke Park. "On August 19, you saw the same thing that was going in December 2018 - that’s what’s so important about sport; consistency and removing emotion so it’s not up and down. I think teams are still trying to get this edge and chip about this team or that team, lets go after them and find as many psychological edges from a negative to get you rared up to go but that’s all gone from psychology now and it’s about keeping the process and consistent." Keynote speaker Caroline Currid, centre, with Limerick GAA Treasurer Liam Bourke, former Limerick hurling star Ger Hegarty, Shannon Chamber CEO Helen Downes and Atlantic Aviation Group CEO Shane O'Neill.